The engines of a luxury cruise ship that narrowly escaped disaster during a storm off Norway on Saturday failed because of relatively low levels of lubricating oil in the engines, the Norwegian Maritime Authority said on Wednesday. "Our conclusion is that the engine failure was directly caused by low oil pressure," the Norwegian Maritime Authority said in a statement. "The level of lubricating oil in the tanks was within set limits, however relatively low, when the vessel started to cross Hustadvika," it added, referring to the stretch of water where the incident happened. Rescue services airlifted 479 people, hoisting them one-by-one onto helicopters, before the weather subsided on Sunday and a tow could begin. Built in 2017, the ship belongs to Viking Ocean Cruises, part of the Viking Cruises group. 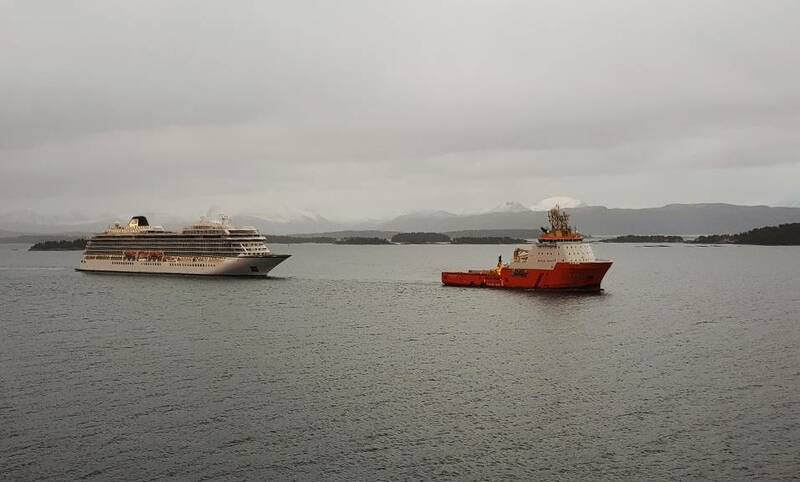 Earlier on Wednesday, the Viking Sky left the port of Molde, where it had been anchored since Sunday, for repairs at a shipyard in Kristiansund, some 70 km (43.5 miles) away.